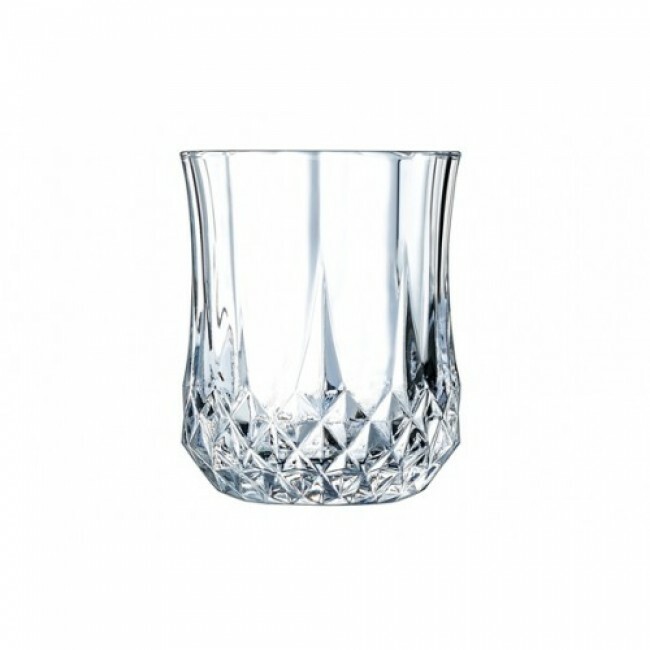 The 1.4oz / 4.5cl shot glass of the collection Longchamp Eclat by Cristal d'Arques is a range of sturdy glasses with an elegant diamond design that easily fits in Barware collections. The strength and durability of this shooter glass will certainly amaze you and it will surely last for a long time. This 4.5cl shot from Cristal D'Arques is also very easy to maintain.